Introduce texture into a living or dining space with the Collins Side Table by Robert Langford. 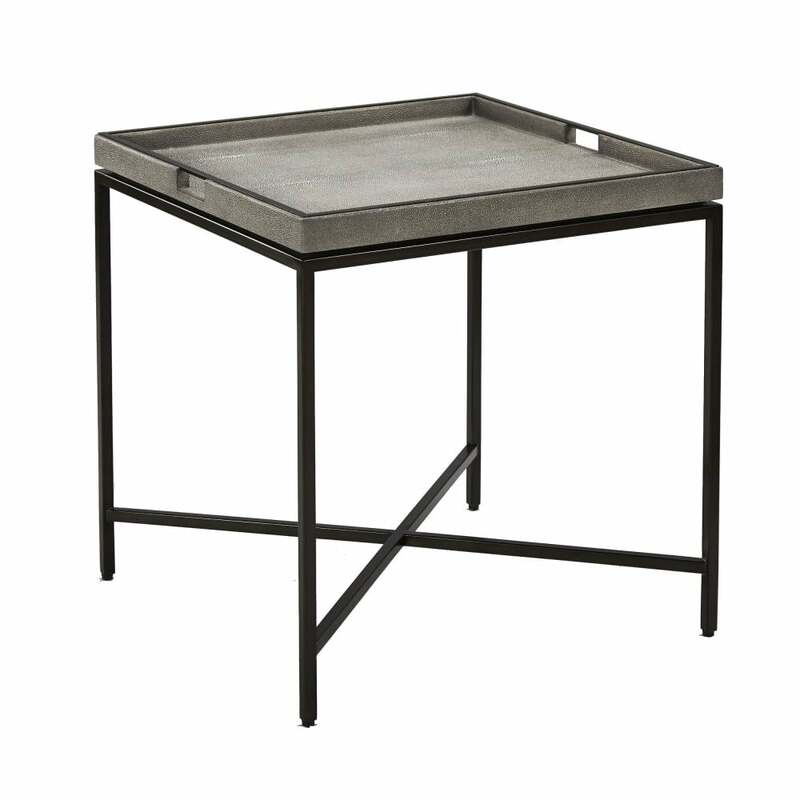 The on-trend, faux Shagreen finish forms the surface detailing of the fixed tray table top. The versatile design will lend itself well to a modern drinks table used for serving family and guests. The fixed tray style table top is ideal for decanters, cocktail glasses and mixers. Alternatively style with decorative accessories such as polished silver photo frames, smooth ceramic vases and elegant flowers. The sleek, cross frame base lets the finish become the focus. Available in a dove faux Shagreen with bronze detailing or in a timeless chalk tone.